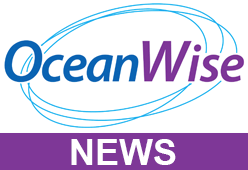 OceanWise is pleased to announce two new on-line distributors for its digital marine mapping products – emapsite.com and findmaps.co.uk – in addition to its existing online distributor, Astrium’s GeoStore. Already well in advance of similar products, Marine Themes and Raster Charts represent exceptional value for money. Now, with the addition of these leading edge online distributors, accessing this data has also become a whole lot easier. Dr Mike Osborne, OceanWise’s MD, who has pioneered the use of GIS in the marine and coastal sectors for over 12 years said, “OceanWise is delighted to be working with both emapsite.com and findmaps.co.uk. These distributors in their own way deliver numerous benefits to users of terrestrial data and I am confident these will be similarly attractive to the marine and maritime sectors”.